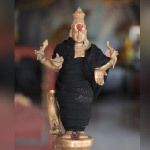 Place this statue of the Sacred Bull of Shiva, Nandhi, on your altar for blessings to overcome negativity and to remove karmic limitations from your life. The statue is 6 inches tall and is exquisitely crafted. It will be energized using 13th Moon ritual-technology. 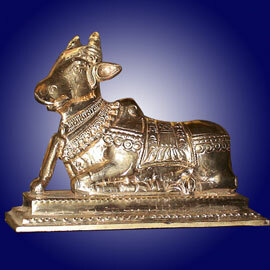 Made of 5 metals, it can readily absorb the positive energy of the ritual. 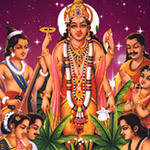 The Yogis claim that the 5 metals serve as the perfect medium to hold and retain divine, cosmic energy.